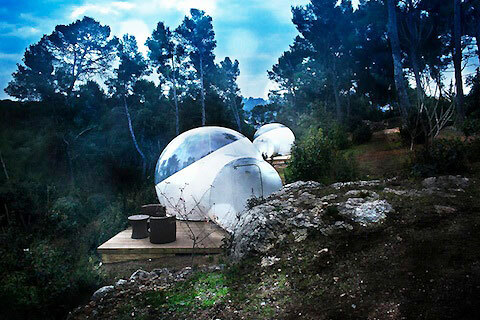 TAKING designer Pierre Stéphane's playful bubble tents to the Bouches-du-Rhone forests some 12km from Marseille, the Attrap'Rêves hotel in France encases its guests in their childhood fantasies. And promises not to burst their bubble. Read more cool travel stories on Lost at E Minor.